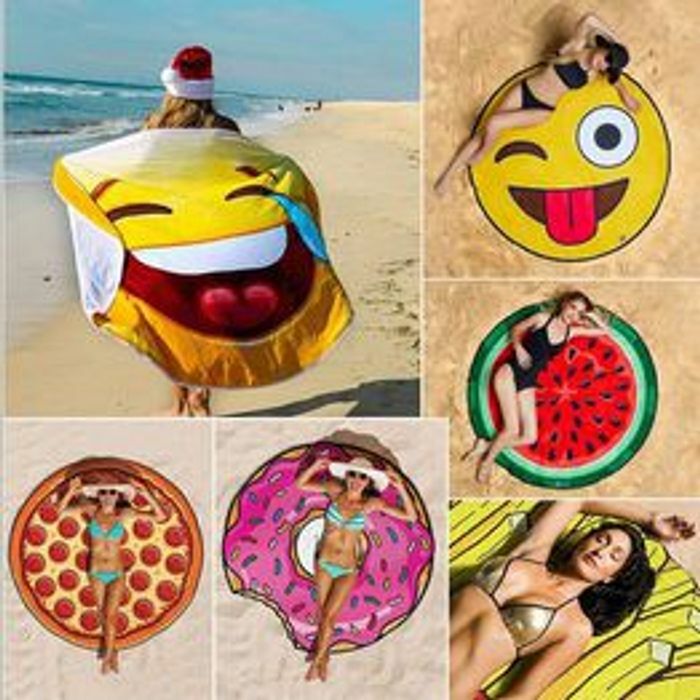 This unique Smiling Emoji shaped beach blanket also works great as a beach towel.
. Can be used as: beach towel, bath towel, sunbath shawl, yoga blanket, bed cover, picnic mat.
. Perfect for the pool or just laying around the house. Something diffrant to take to a beach thank you for sharing this deal.